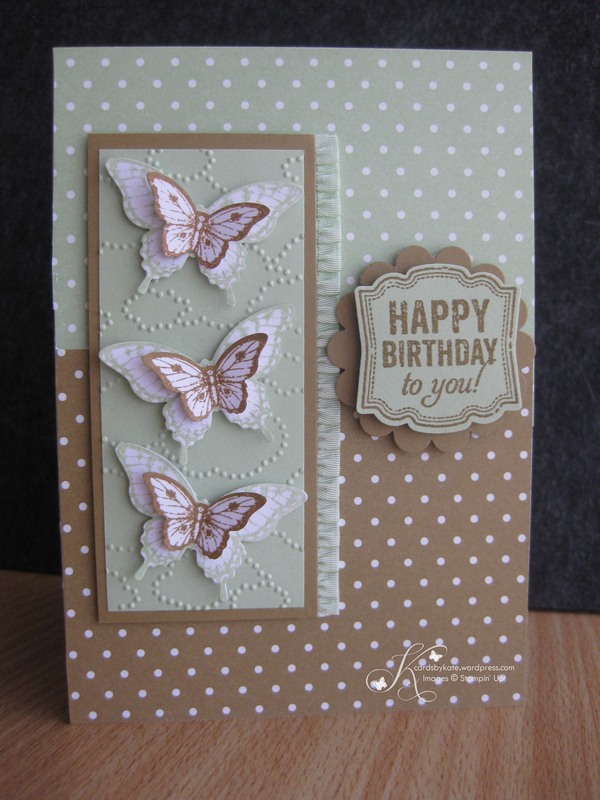 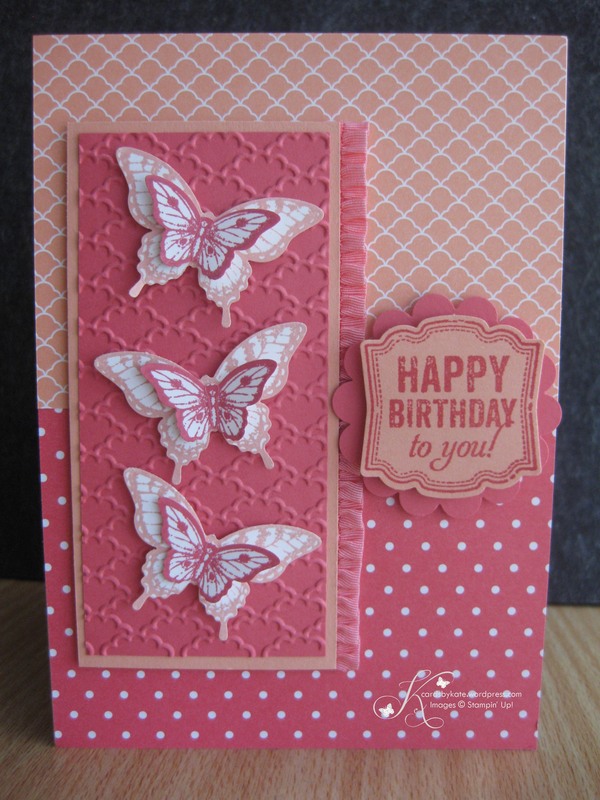 I think you know by now that I love butterflies and here is another card that I case’d from my SU downline, Angela. 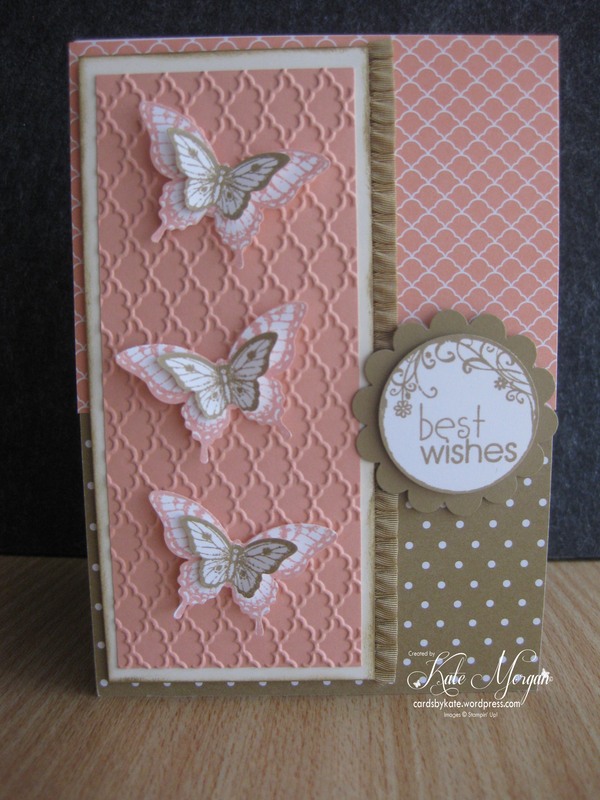 I love the In Colours of Crisp Canteloupe and Baked Brown Sugar together. 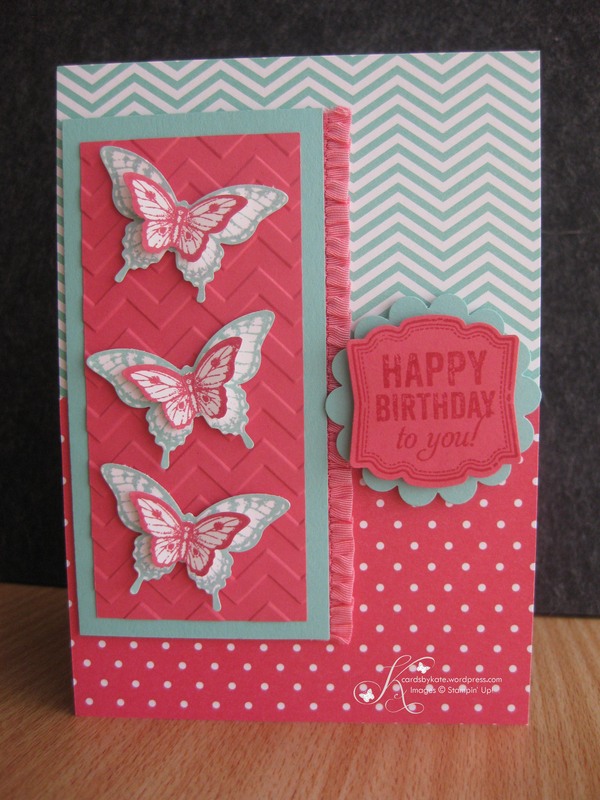 Accessories – Big Shot, Fancy Fan TIEF, Paper Trimmer with scoring blade, Baked Brown Sugar Ruffled ribbon, Tombo Glue, Glue Dots, Dimensionals, Sponge Daubers. 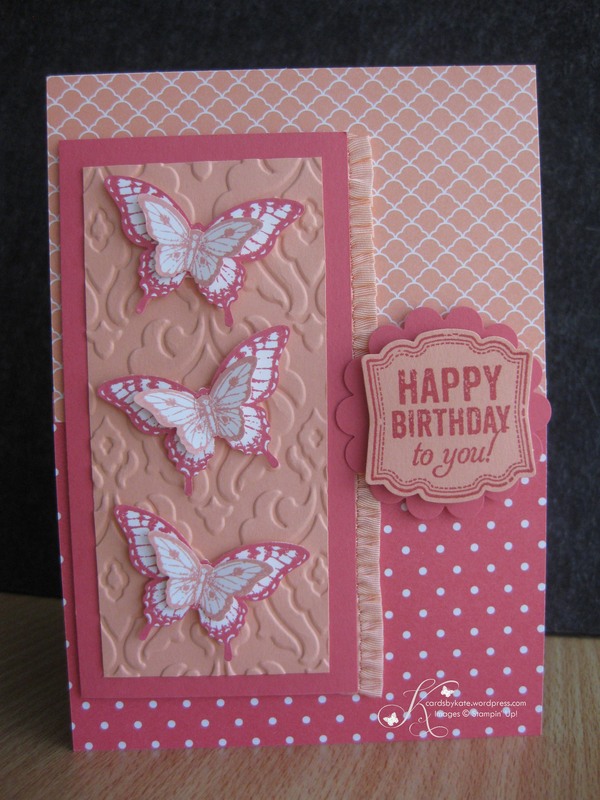 Tagged Baked Brown Sugar, Bitty Butterfly, Crisp Canteloupe, Elegant Butterfly, Fancy Fan TEIF, Feminine, Papillon Potpourri, Stampin' Up!